(Persian Star garlic; Samarkand garlic) Also known as Persian Star or Samarkand. It was found in a market in Samarkand, a key stop on the ancient Silk Road in Uzbekistan. 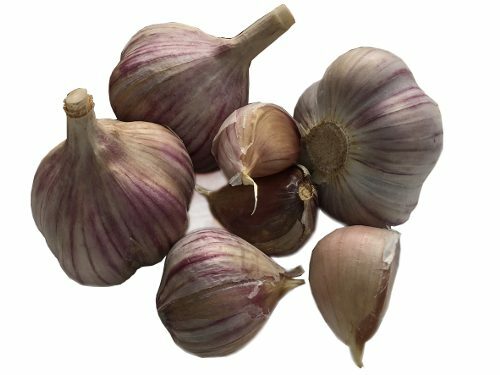 This is a beautiful marbled purple stripe variety with vivid colors and easy to peel cloves. The flavor is very pleasant with a mild spicy zing. Good, reliable, all-purpose variety that produces year-after-year.